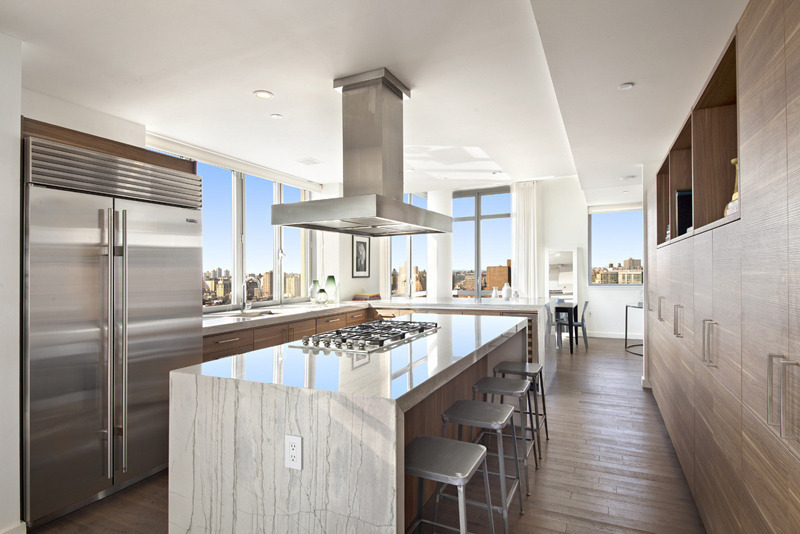 The first of the penthouses at One Morningside Park is finally on the market, with an asking price of $5.9 million, or $2,732 per square foot. 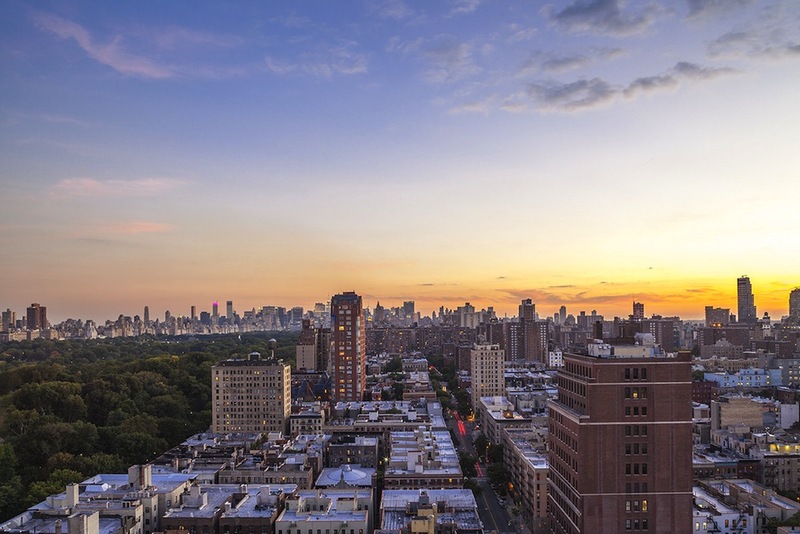 Located on the corner of West 110th Street and Manhattan Avenue, the 22-story, 54-unit building by Artimus Construction has two full-floor penthouses. GF55 Partners designed the development, and sales launched in August 2013. 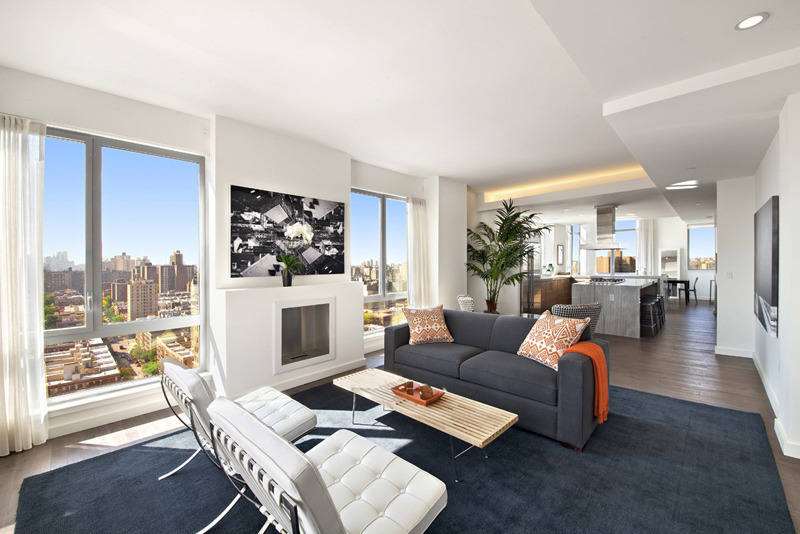 Penthouse One is a 2,159-square-foot three-bedroom with 1,298 square feet of exterior space. 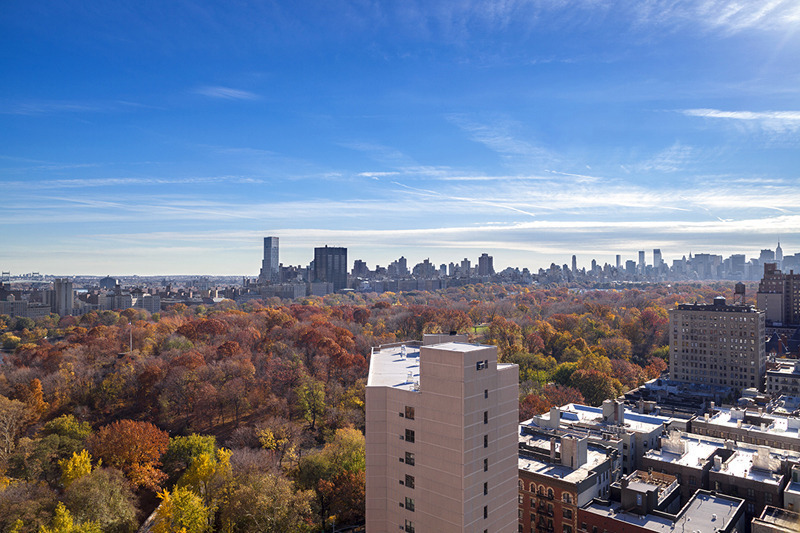 Perched between Central Park and Morningside Park, the residence has 360-degree vistas; the southern view encompasses Central Park, the Empire State Building and Midtown down to One World Trade Center, while the west has views of the Cathedral of Saint John the Divine. The interiors feature private key locked elevator entry, floor-to-ceiling windows, living room fireplace and open windowed kitchen with Sub-Zero and Miele appliances. 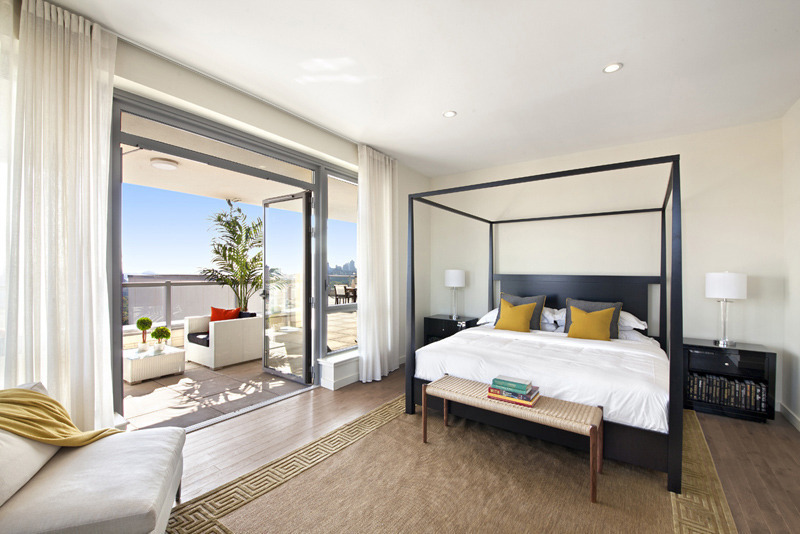 The terrace is accessed by the open entertaining area as well as the master bathroom, which has a walk-in dressing closet. 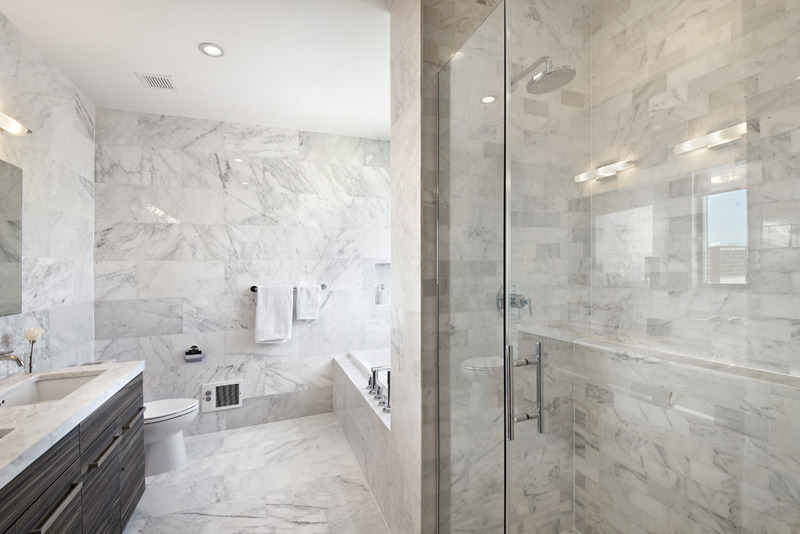 The master bath is fitted with double vanity sink, separate rain shower and soaking tub. No floorplans up yet for the penthouse. The other two units on the market are 20A, asking $2.675 million, and 19C, asking $2.425 million. Amenities include a 24-hour doorman, gym, common roof deck, bike room and private rooftop cabanas for sale. Residents also get a 20-year 421a tax abatement.